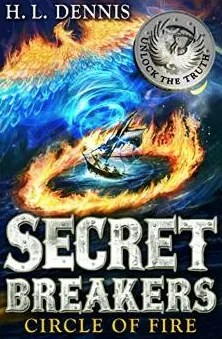 If you’re looking for a fast-paced, page-turning adventure series to hook a young reader aged 9-11, the Secret Breakers series by H. L. Dennis (billed as ‘Da Vinci Code For Kids’) is definitely worth considering. The sixth and final book in the series, The Circle of Fire, was published in the autumn but all the Hodder-published titles should still be available. 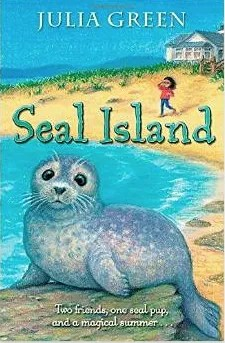 I love Paul Howard’s sketched illustrations in this island-set summer adventure – perfect for any 7+ animal and nature lover, into beach-combing. This is the kind of title that can easily slip by un-noticed and not find the readers it deserves. So you know that teenage girl you need to buy a present for will already have Zoe Sugg’s novel Girl Online – what else can you consider? She may very well have this book as well, but then again she might not. It came out in the Spring, and received a fair bit of media attention, but nothing like the amount of attention and hype that Girl Online has had. Steven Spielberg has apparently snapped up the movie rights, so he sees cinematic potential in the story told in Popular’s pages. 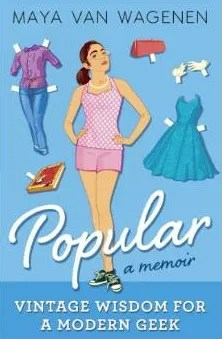 It is not a novel, rather a diary-style account of an American teenager’s rather clever plan of trying to lead her life according to advice set out in Betty Cornell’s Teenage Popularity Guide from the 1950s. Maya Van Wagenen told me that I had changed her life. She had used my book for tops and hints on how to deal with the challenges she was facing in school. Remarkably she used advice I wrote decades ago and applied it in today’s world. I was so delighted that my book had withstood the test of time and was still providing help to teenagers. When I finished reading Maya’s book… I felt a cascade of feelings: pride, love, satisfaction, and happy memories. It amazed me to see Maya tell her tale with such knowledge,m poise and grace. It looks diverting and thought-provoking at the very least. 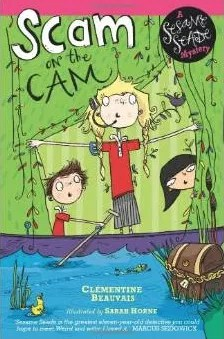 Scam On The Cam, A Sesame Seade Mystery by Clementine Beauvais, illustrated by Sarah Horne. This is the third book in the Cambridge-set Sesame Seade series and it appears to be being well-recieved. “Beauvais has a real talent for capturing naturally funny moments,” said Inis Magazine. “Sesame Seade is the greatest eleven-year-old detective you could hope to meet. Weird and witty,” according to Marcus Sedgwick. Sesame certainly has a strong and distinctive voice, judging from the opening of this book, in which she is found acting as cox in a boat race. Beauvais writes for both the French and English markets, and indeed some of her French YA titles sound as if they are definitely Worth A Look (straight away, if you read French, and hopefully in due course if you need them in translation). Interesting author. One ACHUKA will start watching more closely. 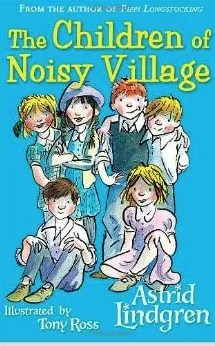 The Children of Noisy Village by Astrid Lindgren, translated by Susan Beard. This is a new translation with new illustrations by Tony Ross. Its chapter book presentation makes it an appealing gift for a newly independent reader aged 6-9. This series by Caryl Hart & Alex T. Smith looks great fun. The illustrations are superb and the writing is made for reading-aloud, a fact I can vouch for, as I’ve just enjoyed reading the first couple of chapters aloud to myself in an empty house. 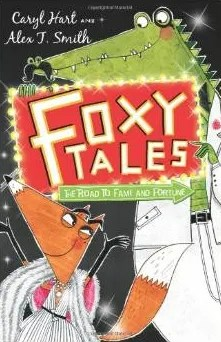 Foxy Tales: 03: The Great Jail Break is publishing 5 Mar 2015. An introduction to this new post category. The end of a calendar year is a time in the ACHUKA office when we clear decks ready for the next year’s titles. It’s a poignant time, because it means putting books aside that we haven’t found room to mention. Books that are listed on the ACHUKAreviews site have always been read in full. Books given our How About tag have either been reviewed (and therefore read in full) or have been sufficiently sampled for us to feel able to recommend them with confidence. So what does ‘Worth A Look’ mean? 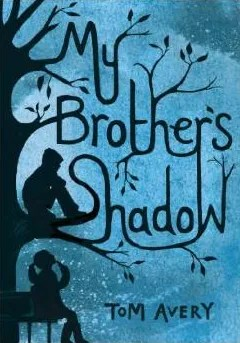 My Brother’s Shadow by Tom Avery, was published by Andersen Press at the very start of 2014. I love the way this book is presented, filled with shadowy and atmospheric illustrations by Kate Grove. I’ve just read the first 20 or so pages and was immediately gripped. The book is dedicated to a class of Y6 children and looks to be a moving read for Y5 up. The author updated his website only last month. Unfortunately, although the site seems to have rich content, the font size used is extremely small even on a large screen, and the the design is not responsive, so the page becomes completely unreadable on a mobile phone. I cannot emphasise this to authors enough: when updating websites it is essential that the design used is flexible enough to be user-friendly on a variety of devices, from hand-held up to 27 inch displays. I can help.